Robert Harris Jewellers came to life in 1968 and has built up a credible reputation in the area. It offers a wide range of high quality jewellery, watches and giftware at very competitive prices. 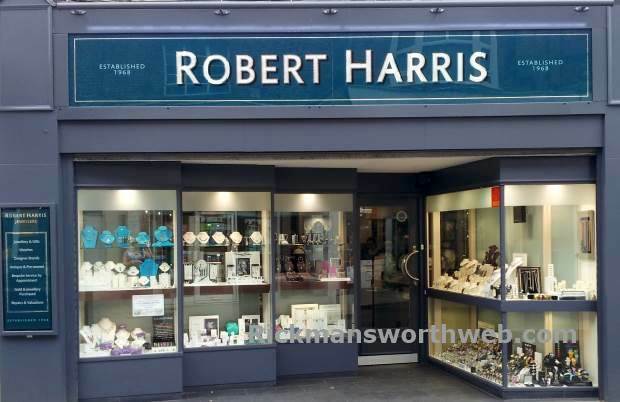 Robert Harris Jewellers stocks a variety of white and yellow 9ct and 18ct gold rings, pendants and earrings. They offer a wide range of silver and designer jewellery, featuring many brands which are unlikely to be found in high street stores. They also specialise in antique and pre-owned jewellery which can make for a very special and personal gift. The range of male jewellery, cufflinks and watches is also quite spectacular.